SPARK Social provided, well… a spark to a transitioning neighborhood populated with thousands of residents and workers waiting for retail and food options to catch up with them. 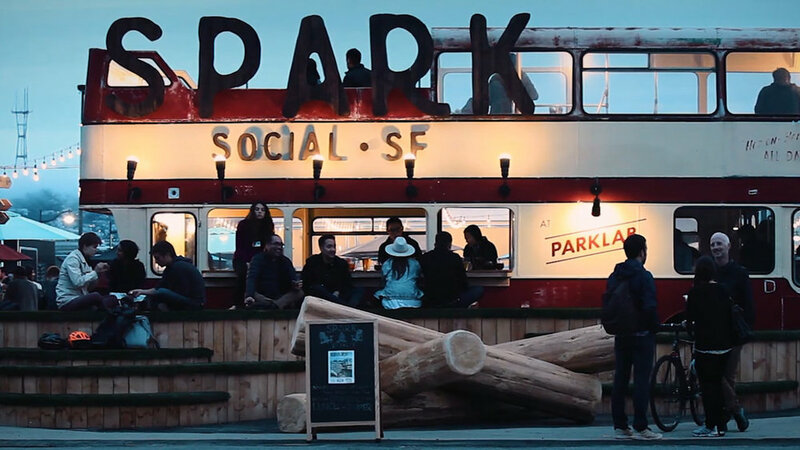 With 16 rotating food vendors, fire pits, a sangria bar and a double-decker bus event space, Spark is a 7 day/week neighborhood block party. It continues to attract new residents and retail tenants to a still-evolving neighborhood. Reserve a fire pit with s'mores service. Or just show up!